DFU stands for Device Firmware Upgrade. 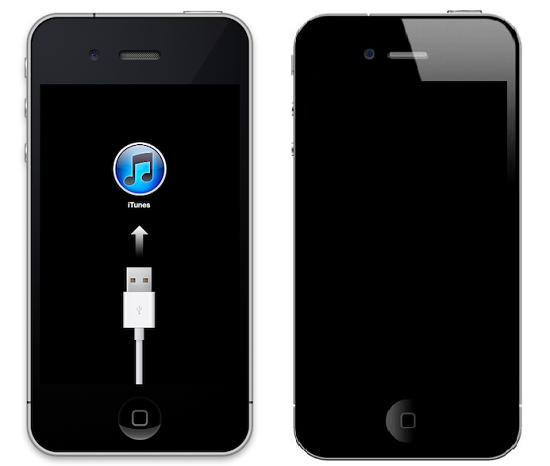 It is a situation where an iPhone interfaces with iTunes but does not load the iOS operating system or boot loader. This is what differentiates DFU and Recovery Mode in which Apple DFU mode allows the users to change and choose the firmware that they want to use. 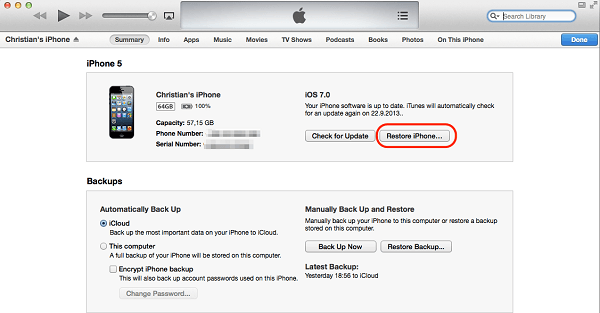 In Recovery Mode, iTunes restores the iPhones to its original factory setting but with the latest iOS and firmware. In this guide, I will tell you how to enter DFU mode and what to do when your iPhone stuck in DFU mode. Usually, iPhone users need to get into DFU mode if they would like to change the firmware on their device. 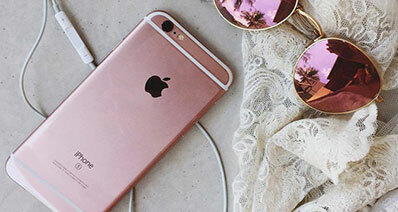 This can serve for the purpose of downgrading to previous versions of firmware and operating system as well as to use unique or customized firmware that is needed for SIM unlock or rebooting tethered jailbroken device. The subsequent steps can be followed to enter into DFU mode. Plug your device into a computer and then launch iTunes. 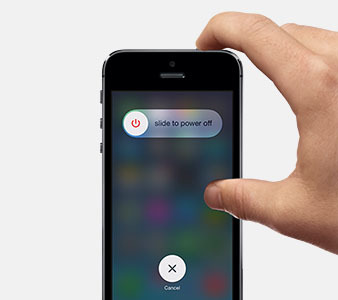 Next, turn your iPhone off by holding down the power button. Slide the phone off once the slider function appears. Now, at the same time, hold down the sleep/power button and the home button for about 10 seconds. After that, release the power button but continue holding down the home button until a window from iTunes appears recognizing that the device is in recovery mode. You are now in DFU mode. Do note that while in DFU mode, your screen will be completely black and if you see any messages or logo, it means that you are entering recovery mode instead of the DFU mode. Repeat the steps above until you enter DFU mode successfully. 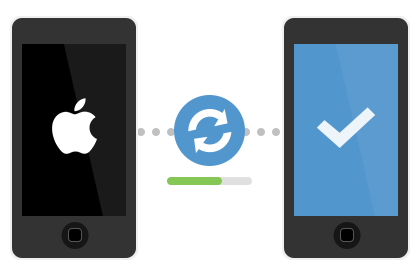 iSkysoft Toolbox - iOS System Recovery is a one stop solutions for all your data recovery purposes. What is important is that usage of this program will not cause any data loss. If you have lost some of your files during a DFU mode that went wrong, head over and launch this amazing recovery program to get your data back. 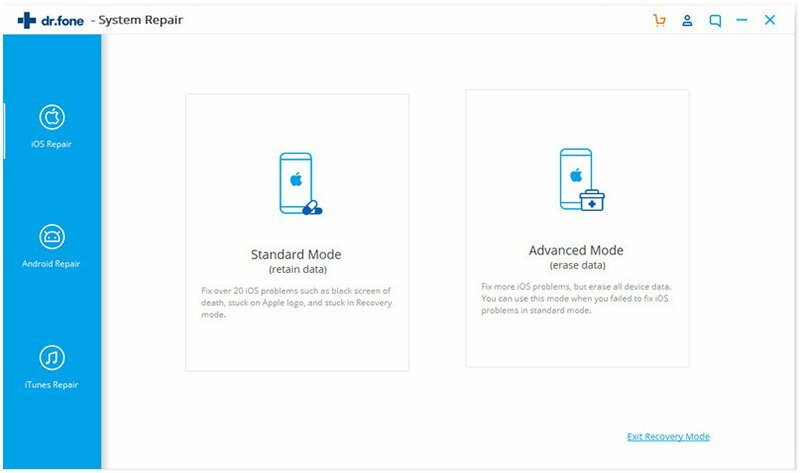 If your iPhone is stuck on Apple logo, DFU mode, Recovery mode or has black screen error, you can use this software repair the iOS system without data loss. Step 1. 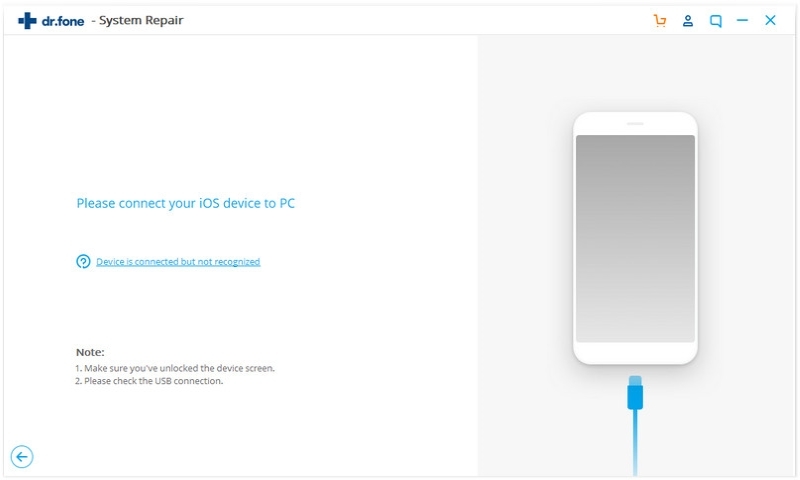 Select "Fix iOS to Normal"
After the iSkysoft Toolbox - iOS System Recovery is initiated, click on the "System Recovery" function from the main window and thereafter link up you iPhone to a computer. After the program has recognized your iPhone, you then need to click "Start" to continue with the next step. By following the instructions on the screen, perform firmware download onto your device by clicking the "Download" button. You will be able to view the latest iOS version for download. Lastly, you will only have to wait for a few minutes for the program to finish repairing your iPhone. Once the firmware download is complete, the program will continue to repair your iPhone till it is back to normal. Step 1: Connect your device to a computer using a cable, once sync, iTunes will launch automatically and then detects your device. Under iTunes, your iPhone will be listed. Click "Restore" under the "Summary" panel. 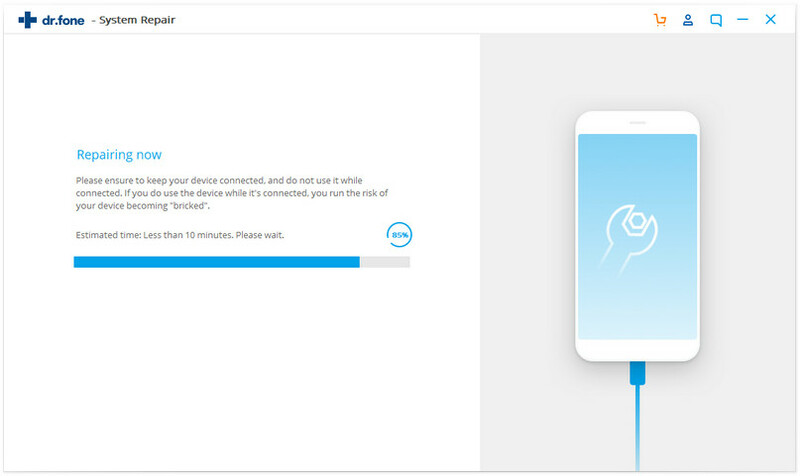 Step 2: A window will pop up to get confirm your confirmation that you would like to restore your device to factory settings and delete all data and contents. Your iPhone will restart once it is restored to its factory settings. You will have the option to set up the device as new or to use your previous backup. Kindly take note that at times, some recently added files might have been deleted by iTunes.